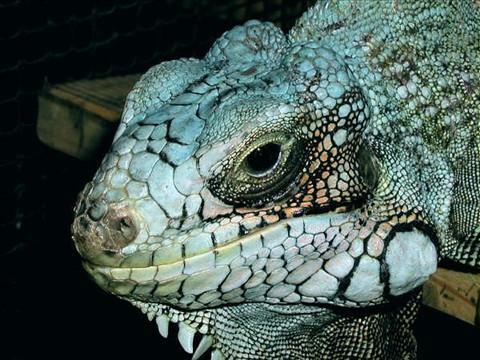 I've seen photos of the solid blue iguanas before this and years ago owned an iguana that was 95% blue with green only on the belly (first photo). 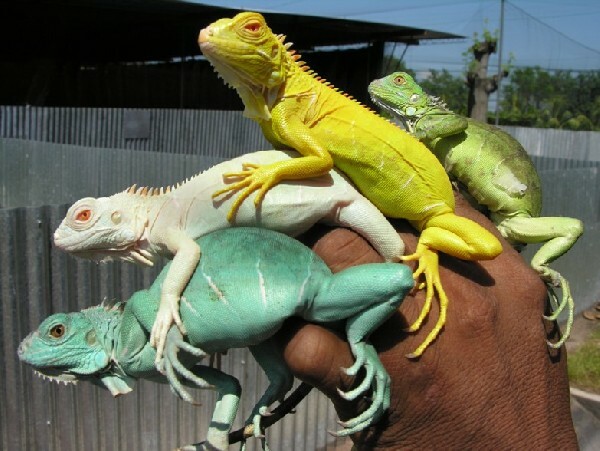 I downloaded the second photo from a post on another Iguana forum in February of 2007. The Blue is stunning but the white ones greatly intrigue me. I'm wondering if they stay healthy because it seems that the amount of UVB exposure that most normal iguanas require to stay healthy would prove detrimental to the health of these pale lizards. Do you have any idea when these animals will enter the marketplace?